Miranda is originally from the small mountain town of Revelstoke, B.C. A graduate of the BFA in Acting program at the University of Windsor, Miranda fell in love with the Edmonton theatre community during a short contract and moved to Edmonton in 2013. A diverse performer, Miranda has studied at the Moscow Art Theatre School in Russia and the Stratford Shakespeare Festival of Canada. She has a penchant for rhetoric and classical text and loves physically engaged work. Her experience as an international street entertainer gives her a unique confidence with audiences and fearless flexibility. 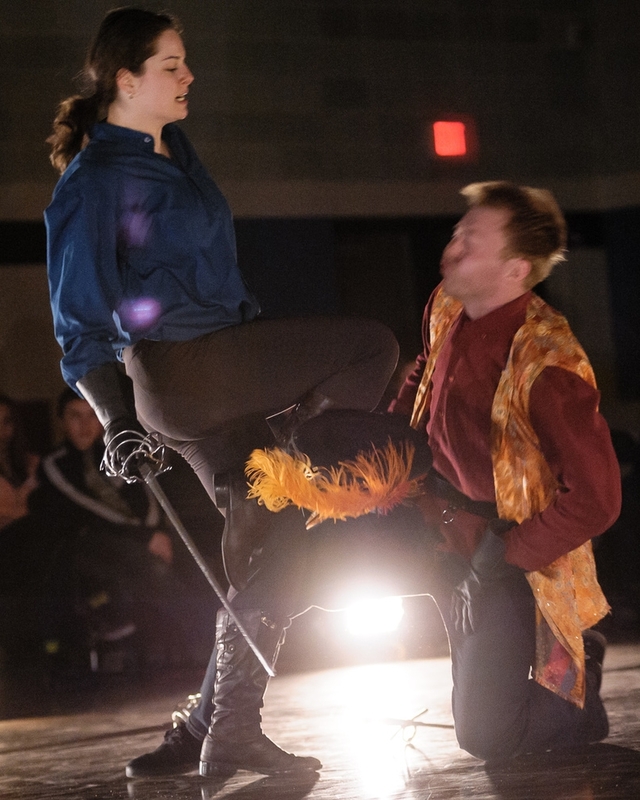 Miranda is also an FDC certified intermediate stage combatant and has studied stage combat with Fight Directors Canada, the Sydney Stage Combat School, and at the Banff Centre’s Paddy Crean Intensive. Her favorite theatre credits include Millet in Category E (Maggie Tree Theatre, Edmonton), Lady Capulet in Romeo & Juliet and the Ladybug in James & the Giant Peach (Project X Theatre, Kamloops); Grumio in The Taming of The Shrew and Regan in King Lear (Bard on the Beach, Sydney, Australia); Mercutio in Romeo & Juliet and Helena in A Midsummer Night’s Dream (Theatre Prospero); and her self-devised site-specific play Willow’s Walk: Ripples in Time at the Vancouver Fringe Festival. Alongside her acting career, Miranda is a stilt-walker, variety artist, and voracious world traveller.